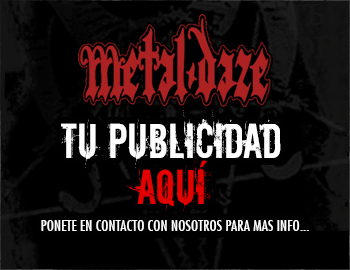 ESP: Para contactarte con nosotros solamente tenés que mandarnos un e-mail a: metaldazewebzine@gmail.com. Trataremos de contestarte lo antes posible. Tenenos paciencia por favor. ENG: If you want to get in touch with us, send us an e-mail to the following address: metaldazewebzine@gmail.com. We try to answer as soon as possible. Be patient, please. GER: wenn ihr kontakt mit uns aufnehmen wollt, dann schreibt uns bitte ein mail an: metaldazewebzine@gmail.com. Wir antworten so schnell wie möglich. Bringt bitte geduld mit uns auf.